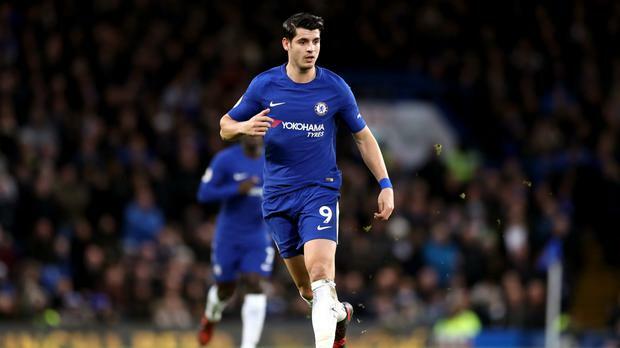 Alvaro Morata returned from suspension to ignite Chelsea's 2-0 Premier League victory over Brighton at Stamford Bridge. The Spanish theme to the victory continued when Marcos Alonso headed in Cesc Fabregas' corner for the second, sweeping the match beyond the reach of the outclassed visitors. Brighton had not won in the fixture since an FA Cup triumph in 1933 and that record was never under threat as Eden Hazard expertly pulled the strings to cement third place for Antonio Conte's men. Bakayoko was stood four yards out from goal yet managed to shoot wide from a great position, his only mitigation being the speed of Rudiger's header. Azpilicueta forced a brilliant save from Ryan as his free-kick powered towards the top right corner, but there was nothing the keeper could do to stop the champions' second in the 61st minute. Having weaved Brighton's defence into a knot, Hazard saw a shot cleared off the line by Lewis Dunk before the Belgian playmaker teed-up Bakayoko, whose accuracy was poor once more.